Lifestyle: Cooling off this summer at Brockwell Lido #1 - Daisy Chains. Hi everyone! A bit of a break from my usual food posts. 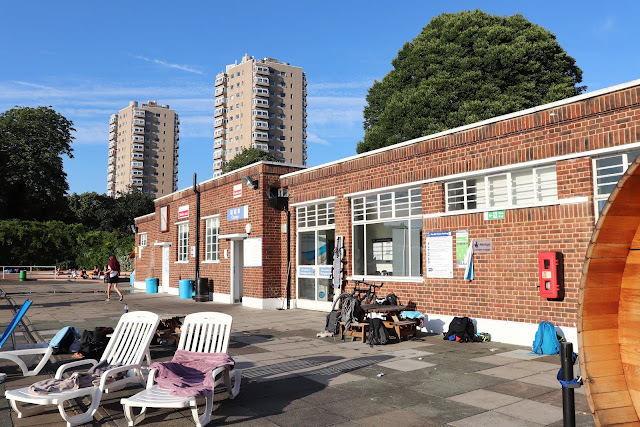 Today I have a blog about my local Lido. If you live in the UK, you would have found it impossible to ignore the recent heatwave and great weather that we have been blessed with. Although the sun is great, it dealing with the heat can prove to be quite a challenge in the UK. 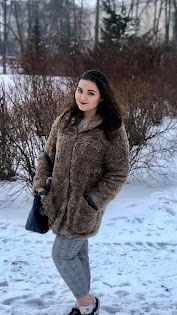 Growing up in Asia where it is constantly hot, I have had the luxury of enjoying good weather for most of my childhood. The difference is that in Asia, we are pretty well equipped with air-conditioning in every bus, train and household. Here in the UK however, we are not as fortunate when it comes to hot weather. Most of us without air-conditioning built into our flats are left sweltering and depending on cold drinks and popsicles to cool down. I live in a flat that is incredibly well insulated, in the winter I never have to turn my boiler on unless it is snowing outside. So in the summer when it is a lot hotter outside, we suffer indoors twice as much. I often find myself still sweltering with every single window open. 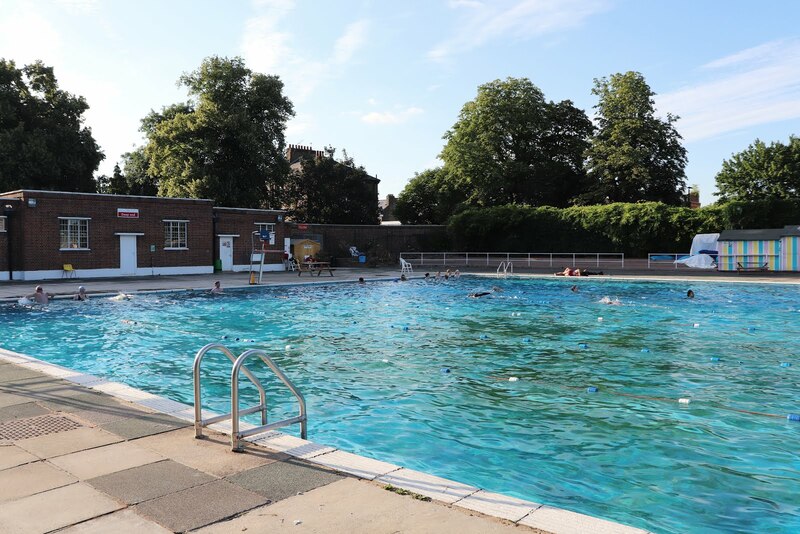 Fortunately, living in South London I am not too far from an amazing Lido that is situated at the mouth of Brockwell Park. Upon entry at the lido you are greeted by the receptionists desk, tapping your membership card through the turnstiles on the left, there is the gym which is filled with an abundance of equipment. The gym itself doesn't get horrendously busy after work times and even when there is a bit more of a crowd there is plenty of equipment for you to choose from. Further down, there are an array of studios for the many classes that the Lido put on. Amongst these there are kickboxing and yoga classes. Sometimes when the weather is good, the yoga classes even spill out on to the pavilion by the swimming pool. Moving on to the main attraction- the amazing outdoor swimming pool. The water is super clean in their pool and on a hot day it is surprisingly refreshing to have a dip. The pool is separated into different lanes depending on the different speeds of swim and some are sectioned off for swimming lessons. There is a lot of space around the outskirts of the pool for you to lay a towel down and bask in the sun, but be aware that on days where it is extremely hot you will be fighting for space. 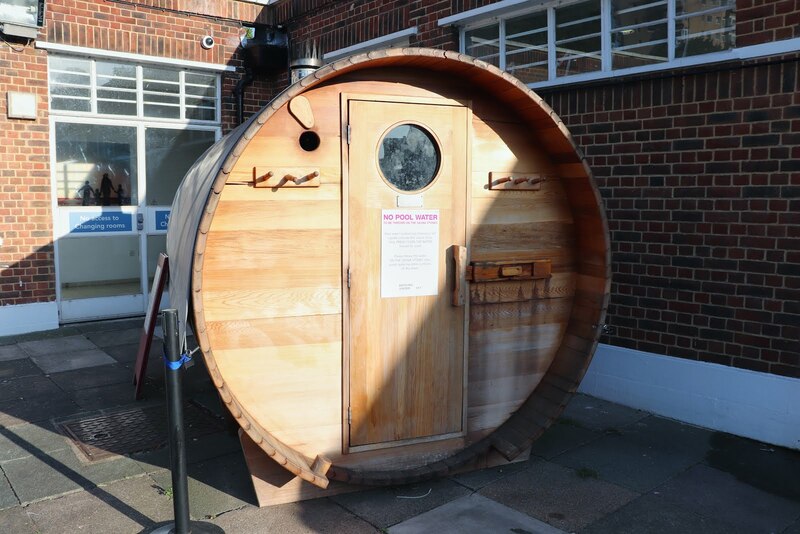 Another great feature of the lido is to outdoor sauna to warm you up in the colder months. Just remember to not wear your contact lens in here! Overall, Brockwell Lido is an incredible place to head to on a summer's day to cool off or get a dose of vitamin D. I definitely will be heading over to the centre regularly and signing up for a few of their classes so stayed tuned for future posts on that.